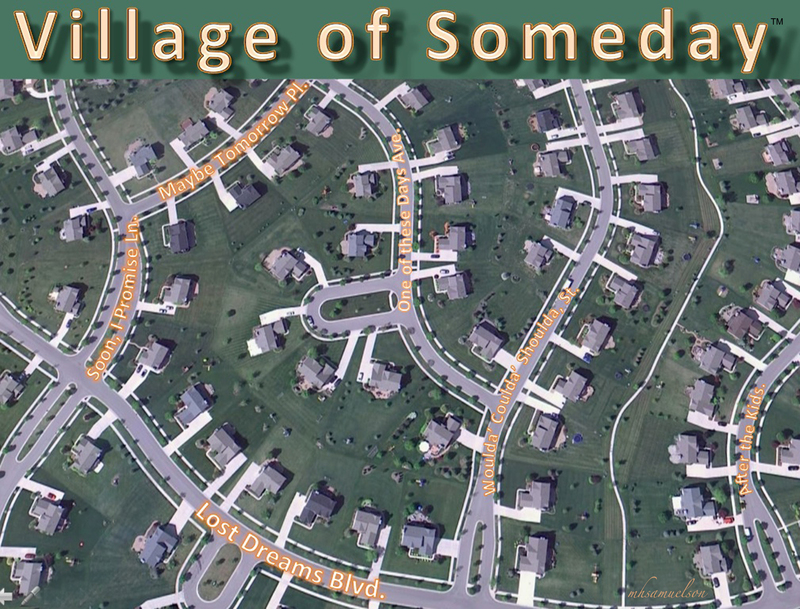 Reflections: Are You Stuck in the Village of Someday? What is this fear that pushes our once child-like, playful, carefree, glee to the sidelines? Was it mom’s look when you brought home a “D” in Chemistry? Father Tobin when he caught you sipping sacramental wine? Coach Palmer’s frown when you walked-in the winning run? Or, maybe it was Gloria Wilson, from history class, who laughed when you asked her if she’d like to go see My Fair Lady with you at the Michigan Theater? But, what causes this transformation from “Let me in, coach!” to “That’s okay, I’ll just sit over here and watch.” Yes, it’s fear of failure, performance anxiety, procrastination, and shyness but that just gives it a name, it’s not an explanation and it certainly isn’t a solution. The story—all by itself—is a good one. Quit trying to be perfect, none of us are. However, a closer look at what he is saying shows us something else, as well. The transformation from validating expectations of poor performance to near-perfect playing of the concerto can be found in the two words, performance and play. We don’t tell our children to go outside and perform, we tell them to go and play. In the english lexicon, the opposite of work is play. When an athletic team wins a major event like the World Series in baseball or the Super Bowl in football, the sheer glee you see in the winners jumping up and down and hugging each is a demonstration of play, not performance. They speak of the “Zone” in the same way that Joshua does. Winners focus on feelings of joy that come from within, not outside opinions or expectations…good or bad. I once had a boss who, before I headed out for a major speech or sales presentation, would always tell me to “Have fun!” All of a sudden, the anxiety would melt and I would look forward to the event. Have fun! Really? Have fun? Okay, then, I can DO THAT! I can have fun, enjoy myself, relax. I embraced those expectations without fear of failing to do so. Perhaps the population of the Village of Someday continues to explode because we view our lives as a performance. A performance under constant scrutiny; critics standing by, pencil in hand, hoping for a mistake to chronicle. A viral YouTube embarrassment waiting to be captured and looped forever and ever. The next time you feel hesitant about taking a risk while whispering “Someday…” picture a moment in your life when you leapt into the air with shear joy, smiled until your face hurt, giggled uncontrollably, felt deep passionate happiness and contentment. Do that and tell me what word best describes the trigger. Work? Performance? How about, Play? Fun? You can do as the virtuoso performer, Joshua Bell, almost did—continue on and feel miserable—or, you can do as the twelve-year old boy, Joshua Bell, did. Stop, turn to anyone who wishes to listen and—beckoning the child within you—say, “I’d really like to start over.” And then, play. 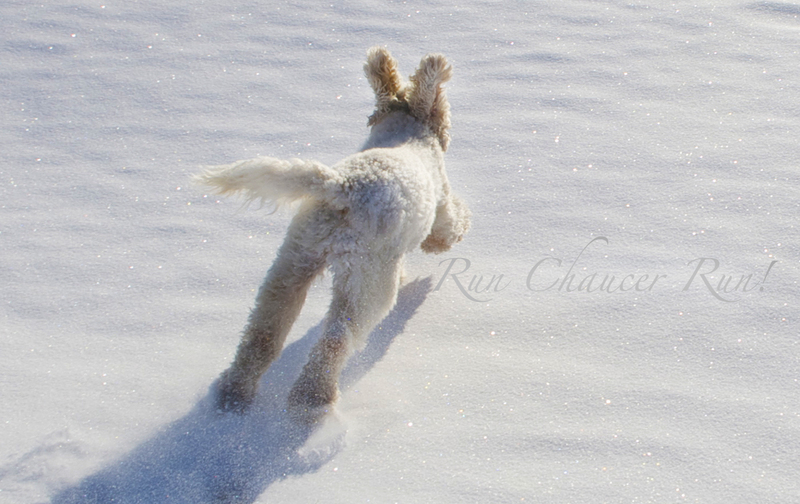 Simply play until your bones shake and your spirit lifts. Don’t perform life…play and enjoy life, and sometimes—just like Joshua— you’ll find that amazing things can happen.